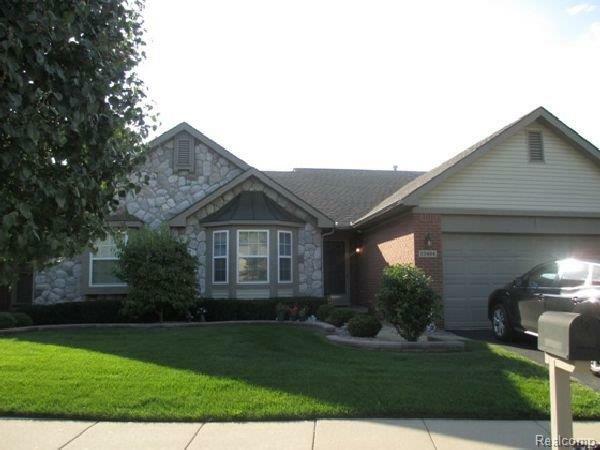 Beautiful and well maintained ranch style condo! Field stone accents this move in condition home. Gorgeous custom wood window blinds, newer amenities, open, spacious feeling, vaulted ceilings, full unfinished basement, master suite, first floor laundry, newer roof, door wall, private neighborhood, near schools, shopping and more! Stonecrest Townhomes is a subdivision within the city of Brownstown, Michigan. There are currently 0 Homes for Sale within Stonecrest Townhomes, with asking prices ranging from $0 to $0. The average list price per square foot of the available inventory in Stonecrest Townhomes is $0, which is the Brownstown average of $12. Recent comparable homes have been selling for 97.78% of their asking price. Waterfront homes represent of the available Stonecrest Townhomes inventory. The population of Brownstown, according to the 2010 Census, is 30,627. The total number of households in the zip code of Stonecrest Townhomes is 7,930, with an average household size for of 2.69 people. The total number of renter households within the zip code of 48134 is 1,665, which means that 79.00% of households in this zipcode are owner occupant households. 25464 Tara Lane , Brownstown MI 48134 is a Condo, with 2 bedrooms which is recently sold, it has 1,384 sqft, 0 sized lot, and 2 Car parking. A comparable Other, has bedrooms and 0 baths, it was built in and is located at and for sale by its owner at $ 0. This home is located in the city of , in zip code , this County Other, it is in the Subdivision, and WAYNE COUNTY CONDO SUB PLAN NO 897 are nearby neighborhoods.